A federal district court in Texas has ruled the entirety of the Affordable Care Act (ACA) unconstitutional. However, the decision is expected to be swiftly appealed. In the meantime, pending further legal developments, the ACA remains in effect. [Salt Lake City, Utah] – Team Nash Insurance has been recognized for their hard work and expertise in helping consumers enroll in and manage qualified health coverage through the Health Insurance Marketplace. 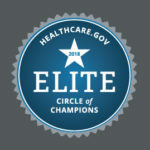 This nationwide recognition from the Centers for Medicare & Medicaid Services (CMS) as a member of the 2019 Marketplace Circle of Champions highlights Team Nash Insurance’s success in enrolling 20 or more consumers during this Open Enrollment Period. The Marketplace Circle of Champions program recognizes the hard work, expertise and service of Marketplace-registered agents and brokers. Agents and brokers who assist 20 or more consumers qualify for the Marketplace Circle of Champions. The employee contribution limit for 401(k) plans will be $19,000, up from $18,500 in 2018. The catch-up contribution limit for employees aged 50 and over remains unchanged at $6,000. The employee contribution limit for IRAs will be $6,000, up from $5,500 in 2018. The catch-up contribution limit for employees aged 50 and over remains unchanged at $1,000. The employee contribution limit for SIMPLE IRAs and SIMPLE 401(k) plans will be $13,000, up from $12,500 in 2018. The catch-up contribution limit for employees aged 50 and over remains unchanged at $3,000. A new proposed rule would permit all employers to offer health reimbursement arrangements (HRAs) to reimburse employees’ individual health insurance policy premiums if certain conditions are met. Currently, many employers are prohibited from offering such HRAs. If finalized, the proposal would be effective for plan years beginning on or after January 1, 2020. Employers provide eligible participants with a written notice describing certain features of the HRA. Click here for more information on the proposal. The Social Security Administration has announced that, effective January 1, 2019, the maximum amount of earnings subject to the Social Security tax will increase to $132,900, up from $128,400 in 2018. As a reminder, both employers and employees pay a 6.2% Social Security tax on an employee’s earnings, up to the maximum amount of earnings subject to the tax each year. Beginning September 21, 2018, an updated Summary of Consumer Rights notice must be provided when required under the federal Fair Credit Reporting Act (FCRA). As a reminder, the FCRA requires employers to provide an applicant or employee with this notice before rejecting a job application, terminating an employee, or taking any other adverse employment action based on information in a consumer report. Click here to view more information and download the updated notice. Employers who sponsor group health plans that offer prescription drug coverage to Medicare-eligible individuals are reminded that they must provide a Medicare Part D Creditable or Non-Creditable Coverage Notice to those individuals by October 15. This notice serves to inform Medicare-eligible individuals whether the prescription drug coverage offered is “creditable,” meaning it is expected to pay, on average, as much as the standard Medicare prescription drug coverage. For more information on this notice requirement, including links to downloadable model notices, click here. The U.S. Department of Labor (DOL) has updated its model notice for employers to provide information on eligibility for premium assistance under Medicaid or the Children’s Health Insurance Program (CHIP). This notice is generally updated twice a year. Click here to download the updated notice in PDF format. The updated model notice includes information on how employees can contact their state for additional information and how to apply for premium assistance, with information current as of July 31, 2018. Our Benefits Notices by Company Size section features information on additional health plan notice requirements. Check out our Health Care Reform section for more on the Affordable Care Act.